Someone from Exeter & 1 other recently bought this item. 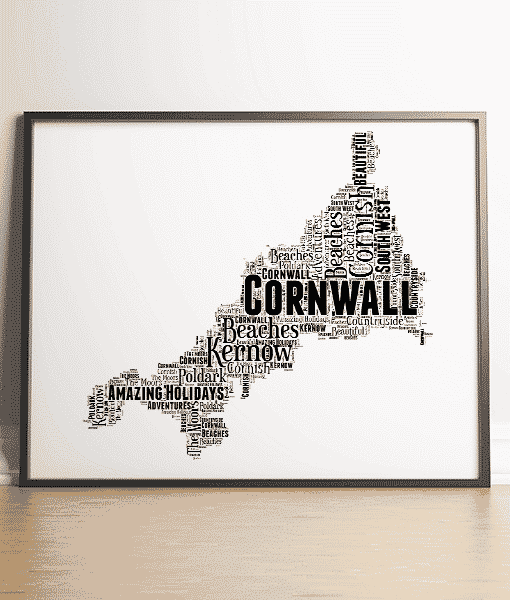 Create your own Personalised Map Of Cornwall word art. 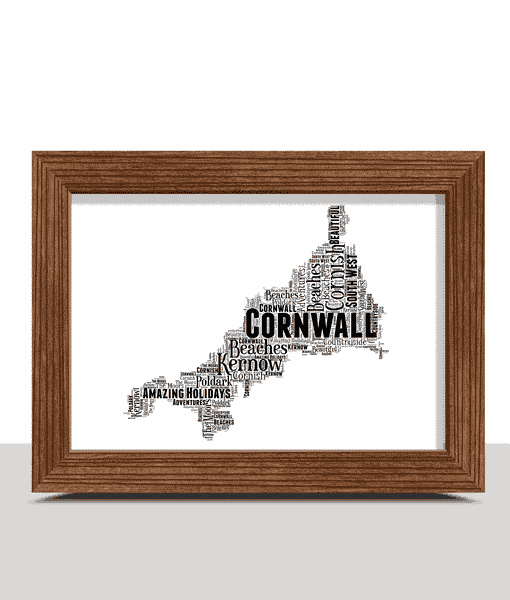 You can add all your own words to create a unique piece of art. 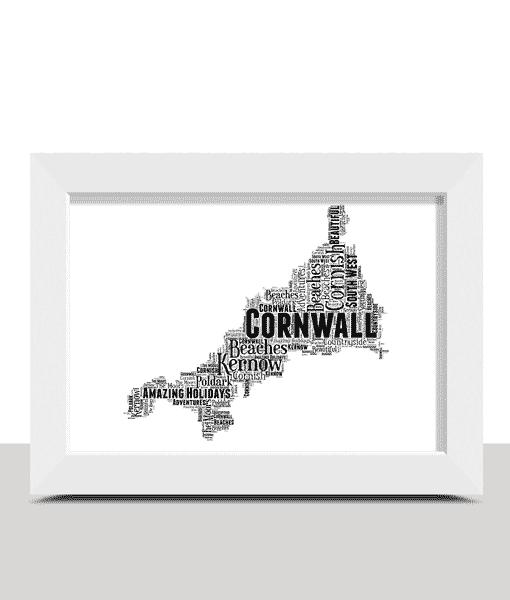 Makes a nice keepsake for a Cornish holiday or as a gift for someone who is fond of Cornwall. 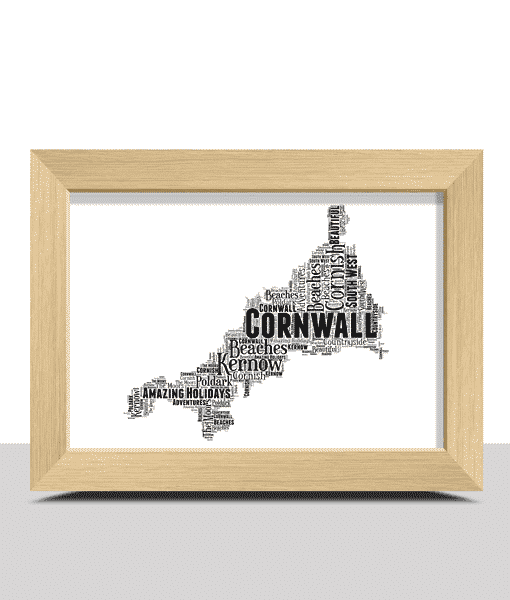 Cornwall, Kernow, Pasties, Beach, Newquay, Truro, Land’s End, Cornish Ice Cream, Bodmin Moor, Tin Mines.